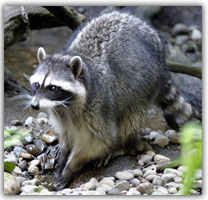 We have affordable and effective raccoon removal services for all property owners in Southport, Indiana. Our services are effective because we have decades of experience in the industry as well as specialized equipment and knowledge in the fields. 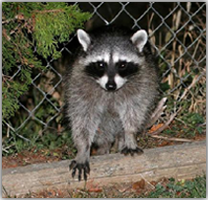 We are dedicated to using non-lethal and environmentally safe ways to capture and relocate raccoons at any density. There is no raccoon removal job that our team of experts can’t handle. Call them today to ask for a free phone estimate on raccoon removal services in Southport, Indiana. Do you have raccoons in the attic of your Southport, IN home or business? Then you better call us right away! We are a full services raccoon removal company with nearly 20 years of experience in the industry. 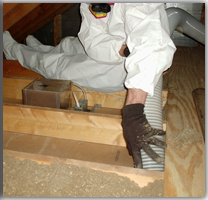 The longer raccoons reside in your attic or crawl space, the more damage can result. 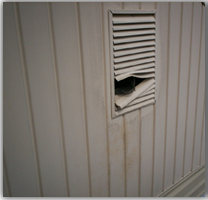 We are experts in repairing damages caused by raccoons and efficient at raccoon clean-up. Call us at 317-535-4605 if you have raccoons in the attic of your Southport, IN home or business.